No more ugly afghans! 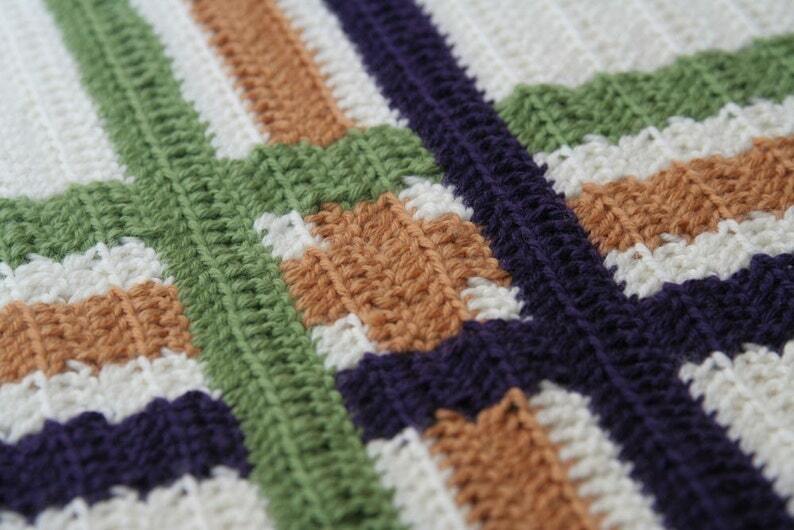 This afghan will look great with modern decor--or any decor! It has just the right amount of color (but of course you can customize that to your own taste). This is the perfect throw for cuddling under while you read! It makes a great wedding present, too! Finished measurements are 50 inches by 50 inches (127 cm by 127 cm). It is worked mostly in double crochet, so the stitches aren't hard, but there are lots of colors attached at the same time, so I suggest this pattern for someone of intermediate skill.